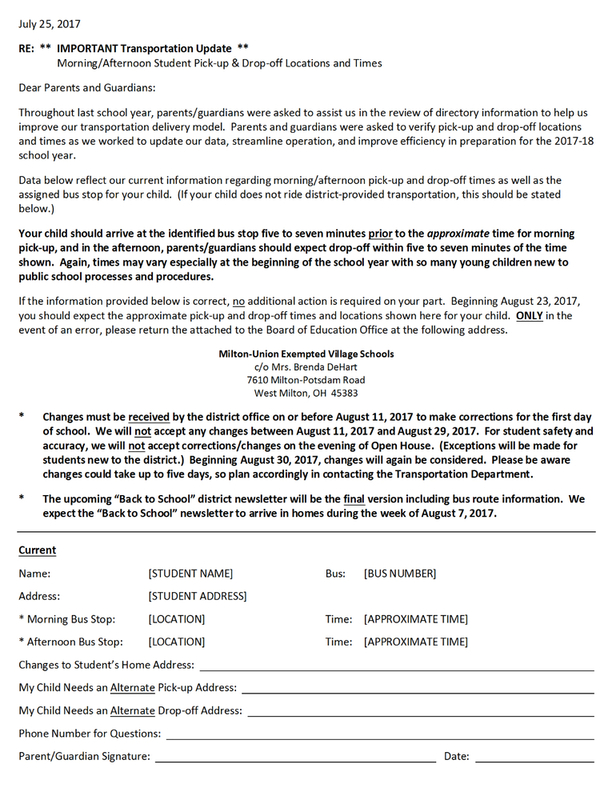 Letters with personalized student transportation information for 2017-18 should be arriving to homes of all district parents/guardians very soon. Letters indicate specific bus number assignments along with pick-up/drop-off locations and approximate times. Letters were mailed on behalf of all students, so information should reflect students walking, driving, and with parents/guardians responsible for transport. The district is attempting to address any changes well in advance of the first student day!